In SharePoint 2007 you couldn't enforce uniqueness on a column in a list or document library to ensure that the column would never have duplicate values. 1. Remove the index of a unique column. 2. Change existing column to unique values. If existing column contain duplicate values You must remove all the duplicate values to a unique column and then set to unique values. 4. You cannot copy a file to a library by using the Open with Explorer command. 5. You cannot break inheritance of permissions from a list to a list item. 7. If list that contains items with unique permissions. 9. Case-insensitive “Product 1” and “product 1”. This is because these two values are considered equivalent. Does it mean that in Singapore we view on Live? any idea…. !!!!! 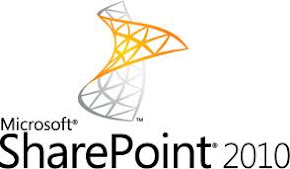 SharePoint team, officially announced that May 12th, 2010, is the launch date for SharePoint 2010 & Office 2010. The RTM will intent to release in April 2010.